Tonight we talked about Winlink. You can view the slides I was working off of here. You can download the Winlink software at https://winlink.org/WinlinkExpress. We will be discussing this more among other thing during our in-person training January 13th. 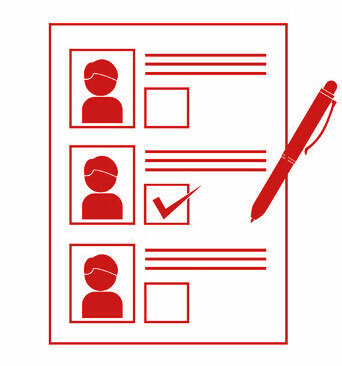 Duties of each position can be found in the preliminary bylaws found here. Tenure is normally two years. However since this is the first year, President and Secretary will be for one year initially before elections are re held. If you are interested in running for one of these positions or if you would like to nominate an individual for a position please send an email to info@wvcarc.com. I'm trying to get things organized for a couple reasons. First it is just a good idea and secondly Jason and I need help. Below is a link to our current draft of By Laws. If you have a chance please read it over and let share with us any comments. I would like to have these ratified at January 13th's in-person meet. 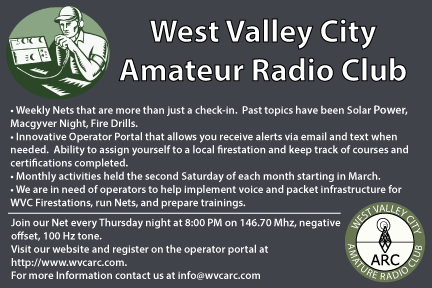 WVCARC is in need of more NET Control Operators. The goal is to have someone for each week of the month. It is easier the it looks (sounds). We have scripts and will train. If you are interested please send an email to info@wvcarc.com. I have a 2 meter packet node up on 145.050 Mhz. It's SSID is K2WVC-6. Give it a try if you have the gear. Let me know if you have any questions! Last NET we talked about "The Standard Load" This is a standard programming sequence designed to make your radio operations faster and easier. It is also designed to give you local control over your own frequencies while somewhat standardizing channels and channel names county-wide. We have 10 memory slots allocated for club use. I am looking for suggestions as to what we should put there. Below are a few of my suggestions. If you have a suggestions add it to the comments below. 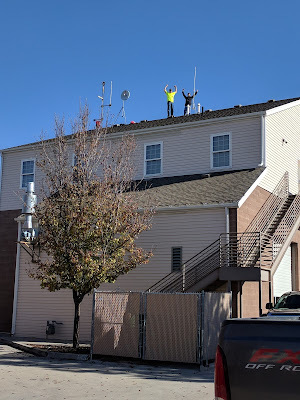 We successfully installed a new antenna on Station 75 Saturday. The weather was great! 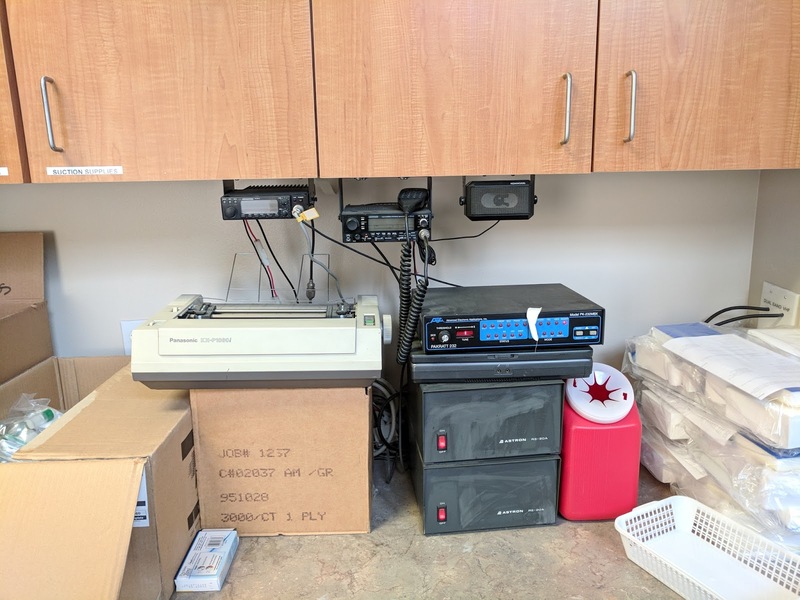 We had a request to move the radios from their existing location to a new location so we will need to schedule a time to do that. Once done this station will be good to go! 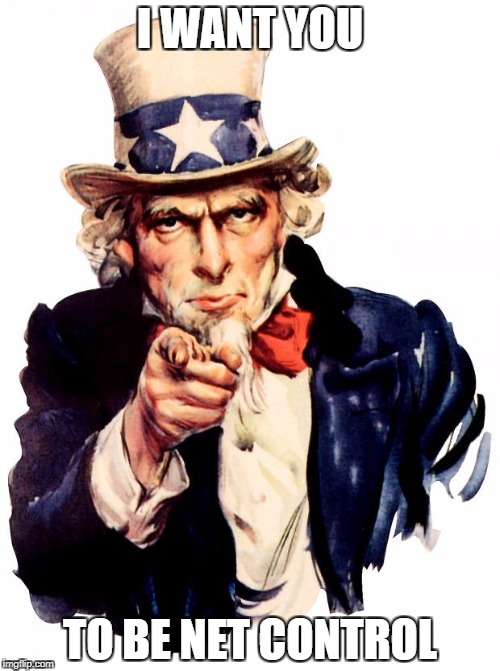 This Saturday, November 11th, is our monthly in person meeting at 9:00 AM. As of right now the plan is to meet at fire station 75 which is located at 3660 South 1950 West You can also find directions here: https://goo.gl/maps/RhnHauRJXSn. 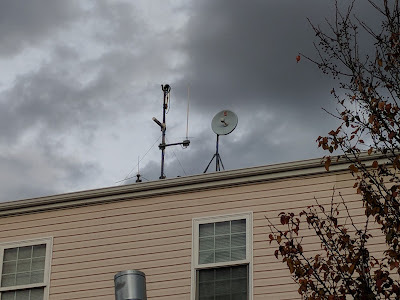 We will be working to install the antennas and radio at this location. This should be a bit less involved then last months install as the coax is already ran. 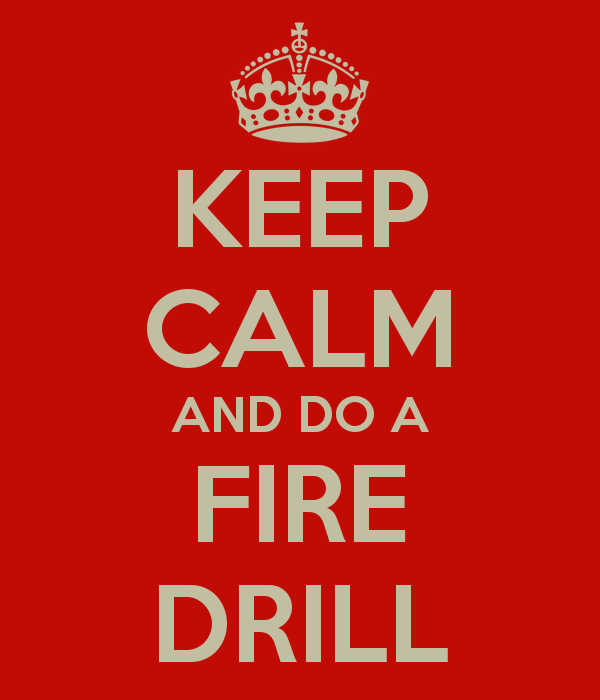 If things don't work out due to weather issues we will meet at station 72, which is by the West Valley Fitness center. We will do training on how to use the new packet radio system. Please check the website the day of the event for any changes. 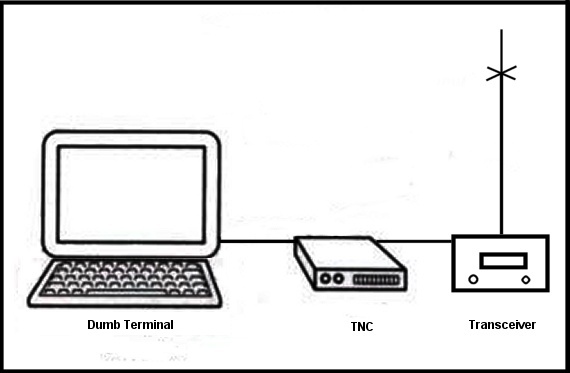 Below is the existing setup. Yes that is a dot matrix printer and a laptop with Windows 95 on it! Looks like two antennas up there. We won't know the condition until we get up there. Ladder truck anyone? 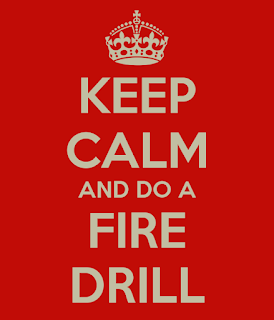 For Thursday's Net (11/2/2017) we are asking that you go to the fire station you selected in the Operator Portal. Unless you are invited in, you will just meet in front of the building or parking lot, whichever is most convenient and out of the way. I know this goes without saying, but please be respectful of the property and of the people who work there. The fire stations are aware that you are coming. If you have not assigned yourself a station please go to http://portal.wvcarc.com, register and select a station. This is a great opportunity to make sure your go kit is ready for possible deployment and that you are able to communicate effectively. This will also give us an idea of what communications challenges we may need to address in the future. This Net will be conducted over our simplex frequency which is 147.580 Mhz. We will also be monitoring our normal Net frequency of 146.700 Mhz, negative offset 100 hz tone. Hope to hear from each of you! We successfully installed two 2 meter / 70 cm antennas on Fire Station 73 last Saturday. A special thanks goes out to all those who participated. It was a cold roof and KG7RZX had to climb into the attic as well, but we got the job done! The end result was two functioning antennas, a radio, and laptop all setup and ready for action! This Saturday, October 14th, is our monthly in person meeting at 9:00 AM. 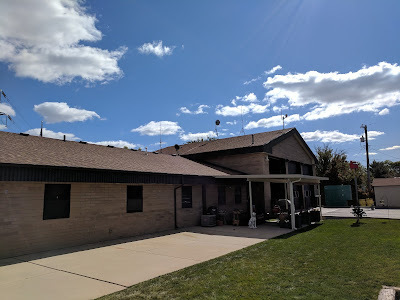 As of right now the plan is to meet at fire station 73 which is located at 2834 S. 2700 W. You can also find directions here: https://goo.gl/maps/S5jW5jVF4Gs. 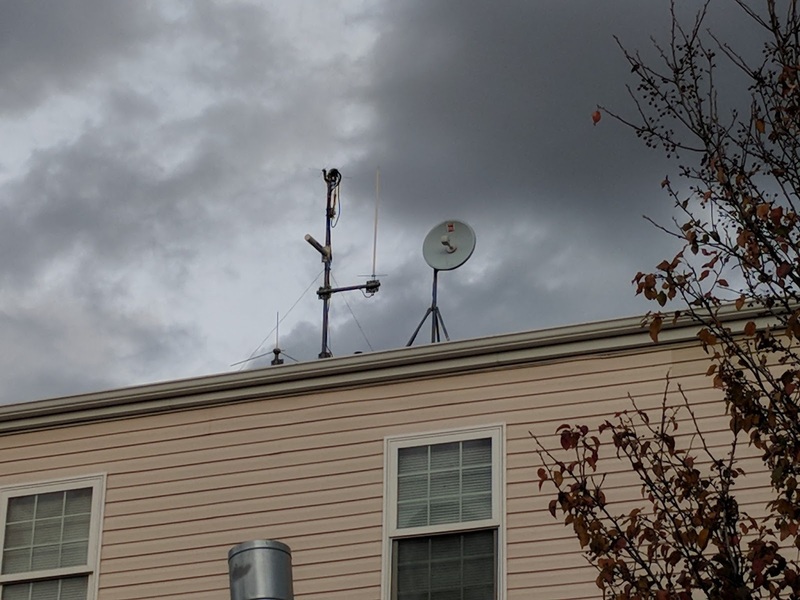 We will be working to install the antennas and radio at this location. I will post a list of things to bring a little later in the week. If things don't work out due to weather or construction issues we will meet at station 72, which is by the West Valley Fitness center. We will do training on how to use the new packet radio system. There are few times when I have needed to reach out directly to you for your help. This is one of those times. The American Red Cross (ARC) has asked ARRL for assistance with relief efforts in Puerto Rico. In the nearly 75-year relationship between ARRL and ARC, this is the first time ARC has made a request for assistance on this scale. Hurricane Maria has devastated the island’s communications infrastructure. Without electricity and telephone, and with most of the cell sites out of service, millions of people are cut off from communicating. Shelters are unable to reach local emergency services and people cannot check on the welfare of their loved ones. The situation is dire. 2) Donate to Ham Aid. ARRL’s Ham Aid program loans Amateur Radio equipment kits to established Amateur Radio Emergency Service (ARES®) groups and partner agencies during disaster response, in order to establish Amateur Radio communications support. Ham Aid is supported by donations from individuals and corporations – including many of our ham radio industry partners. ARRL has previously staged Ham Aid equipment in Texas, and in the last few weeks, we have supplied kits in Florida, the U.S. Virgin Islands, and Puerto Rico. Our supply of Ham Aid kits has been rapidly depleted. Your donation to Ham Aid will help us now. Your contributions to Ham Aid are 100% tax deductible. To make a donation online, go to www.arrl.org/arrl-donation-form and select “Ham Aid” from the ARRL donation form. To donate by mail, print a donation form, and mail it with your check payable to ARRL, noting “Ham Aid” on the memo line of your check; mail to ARRL, 225 Main Street, Newington, CT 06111 USA. It has been four weeks since Hurricane Harvey made landfall in Texas. In little over a month, Hurricanes Harvey, Irma, and Maria have left paths of destruction and catastrophic flooding that will impact the lives of people throughout the southeast U.S. and Caribbean for years to come. Throughout these disasters, our trained ham radio volunteers, and especially those in coordinating roles, have helped us meet the requests of our partner agencies and organizations. To all ham radio operators who have been on alert, activated, deployed, or donated, THANK YOU. We are grateful for your service and for your generosity. Tonight's topic was all about hurricanes. The resources that were used can be found below. June's in person meet has been moved to the 17th, 09:00 @ Station 74. June's speaker will be a Representative from Rocky Mountain Power. He will Speak to us about RMP's response to Disasters. July's In Person meet will be the Regular 3rd Saturday of the month. 09:00 @ station 74s the Salt Lake County Emergency Manager will be speaking about the SAFE Neighborhoods program. Tonight's Training was on Go Kits. The stars have aligned! 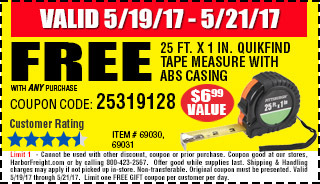 If you need to get a tape measure for your tape measure Yagi, you can grab one for free over at Harbor Freight May 19th - 21st. I am hoping that one of our in person meets will be a fox hunt. 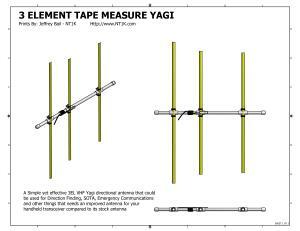 One tool that will be very helpful is a portable yagi antenna. Below is a link to one that looks pretty easy to build and has great instructions. 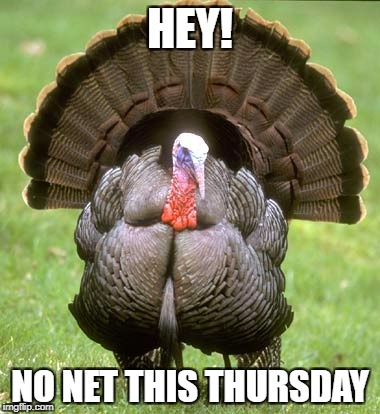 Special Utah Great Shake Out Net Tomorrow! We will be holding a special NET, tomorrow (April 20th) at 12:00 PM, in conjunction with the Great Utah Shake Out. We will be using the 146.70 Mhz repeater (100 hz tone negative offset). Be sure to take a radio to work and make yourself heard! Tonight and probably next weeks training will use the resources below. We will be discussing Emergency scene evaluation and reporting or CANS (The Conditions, Actions, Needs, and Status) reports. We will be on 147.580 Mhz once again. And since the repeater seems to be down right now, we will be holding our weekly Net on that frequency.